Born in 1976 in Washington, D.C. Lives and works in Los Angeles, CA. He received his MFA from Art Center College of Design, Pasadena, CA, in 2006. 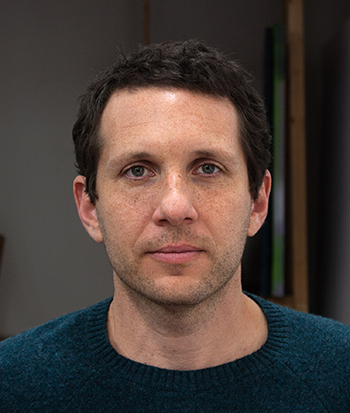 Nathanson’s work has been exhibited locally and internationally at such establishments as Luce Gallery, Turin, Italy; ARNDT, Singapore; Hester, NY; 356 S. Mission, Los Angeles, CA; and Pepin Moore (curated by Jonas Wood), Los Angeles, CA. During his undergraduate and graduate years, he studied under Mike Kelley, Christopher Williams, Liz Larner, Haim Steinbeck, and Marilyn Minter. He has independently curated numerous shows and his work has been exhibited at Art Los Angeles Contemporary and alongside Lucy Indiana Dodd and Bernhard Wilhelm in Vienna. In 2015, Nathanson had his first solo exhibition at Various Small Fires, Los Angeles, CA, and has been included in institutional exhibitions at Whitechapel Gallery, UK and at the Yokohama Museum, Japan. In 2016 his work entered the collection of The Museum of Contemporary Art Chicago.